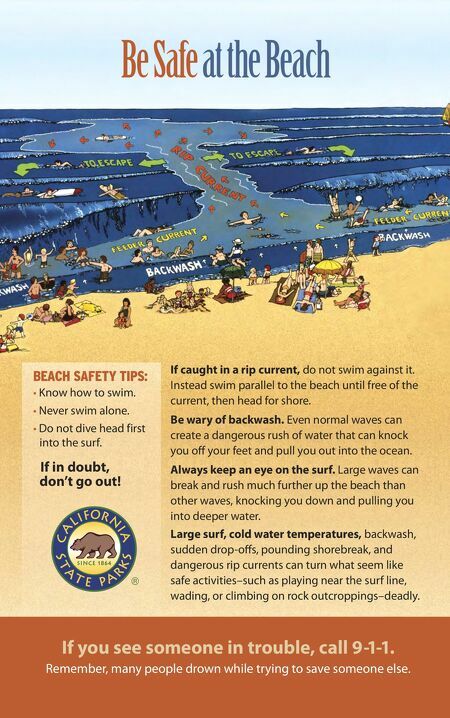 Be Safe at the Beach BEACH SAFETY TIPS: • Know how to swim. • Never swim alone. • Do not dive head first into the surf. If in doubt, don't go out! If caught in a rip current, do not swim against it. Instead swim parallel to the beach until free of the current, then head for shore. Be wary of backwash. Even normal waves can create a dangerous rush of water that can knock you off your feet and pull you out into the ocean. Always keep an eye on the surf. Large waves can break and rush much further up the beach than other waves, knocking you down and pulling you into deeper water. 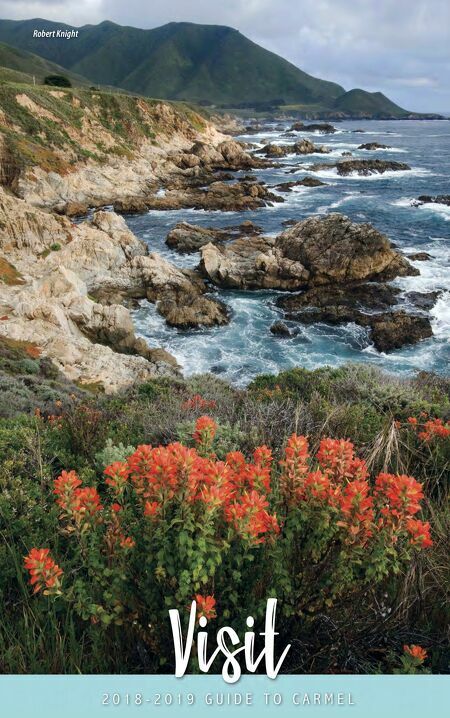 Large surf, cold water temperatures, backwash, sudden drop-offs, pounding shorebreak, and dangerous rip currents can turn what seem like safe activities–such as playing near the surf line, wading, or climbing on rock outcroppings–deadly. If you see someone in trouble, call 9-1-1. Remember, many people drown while trying to save someone else.